We’re going to compare two distinct humidifiers with each other. The Crane USA humidifier, and the Pure Enrichment MistAire humidifier. Neither of these brands are especially well known, but they do make good humidifiers. Each one of their products has its own unique attributes and features, and you’re going to learn what those are in this brief, but in-depth, comparison guide. Let’s start off with the Crane USA humidifier! Immediately, you’re going to notice how small this Crane humidifier is, as well as how lightweight it is. 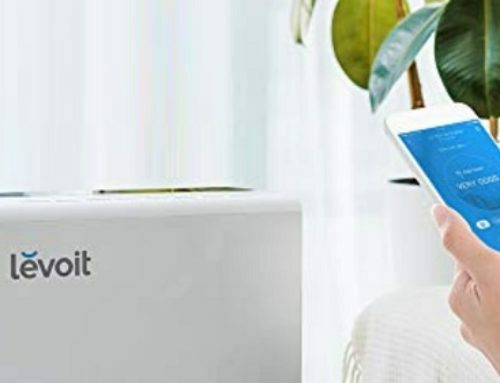 Weighing just 4.5 pounds, you can put this humidifier anywhere, and picking it up and moving it isn’t exactly a challenge of any sort. Regardless of its size, however, this particular humidifier can humidify a relatively large space. Specifically, a space that is up to 500 square feet. For most people, this will be a living room or a bedroom or, in some cases, even the entirety of an apartment. 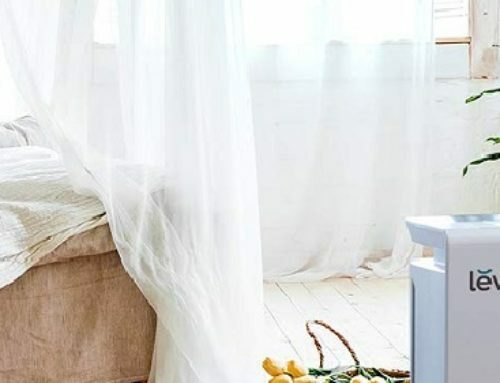 That’s the thing; this humidifier is designed for small spaces, small rooms, and small homes. It isn’t designed for bigger places. That’s why it’s so small and light. The water tank can hold up to 1 gallon of water. This isn’t a lot of water, but it can last for up to 24-hours. So, that means you won’t need to refill the water tank until the next day, assuming you choose to run it for the entirety of that 24-hour period. On top of the humidifier, there is a cylinder-shaped lid. This lid serves as the mechanism through which the mist is spread into the air. Now, the lid is 360-degrees, and so it covers the entire surrounding area, rather than only emanating mist out of the front of the humidifier, which, in terms of coverage, is far more limited. One reason why people find the Crane USA Ultrasonic Cool Mist Humidifier so appealing is because it is designed to run quietly, making almost no noise. Much of this is due to the ultrasonic technology, and the rest of this is due to the size and compact nature of the humidifier. Ultimately, for a simple and easy-to-use humidifier, you really can’t go wrong with this one. It’s well-designed, aesthetically pleasing, works well, and is more than affordable. However, make sure you are using it in a small space because spaces that are larger than 500 square-feet won’t receive any of the benefits that more humidity can bring into your space. Now, we’re looking at the Pure Enrichment MistAire Ultrasonic Cool Mist Humidifier. In many ways, this is very similar to the Crane USA Ultrasonic Cool Mist Humidifier, but it also has a couple of unique features of its own. You’re going to notice that this is an even lighter humidifier than the Crane USA. It weighs just under 2.5 pounds (without the water), and this is really nice if you want to move it around on a regular basis. The water tank can hold up to 1.5 liters of water. This is less than half-a-gallon, so this means that if you want to run the humidifier for a longer period of time, you’re going to need to refill it. Specifically, using a single filling of water, the Pure Enrichment MistAire Ultrasonic Cool Mist Humidifier can run for a total of 16-hours before it needs to be refilled. However, there are two-speed settings – “High”, and “Low” – and depending on which setting you use, the water will humidify at a much faster, or much slower, pace. It all depends on your needs. Just like with the Crane USA Ultrasonic Cool Mist Humidifier, you can adjust the direction the mist comes out at. While a specific MAC – Maximum Area Coverage – hasn’t been provided by Pure Enrichment, when using the humidifier it becomes obvious that it is designed for bedrooms and small spaces such as offices. 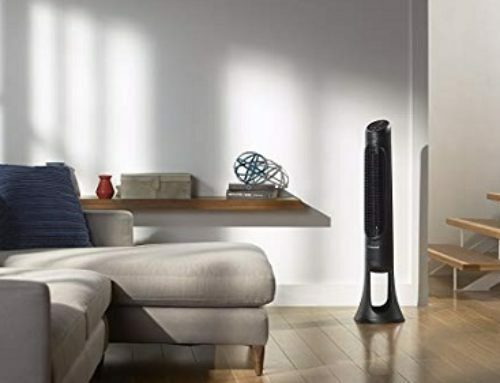 You can move it around and humidify other rooms, but it won’t always be able to efficiently humidify a larger space, such as a living room, or even a dining room. Both of these humidifiers are quite good. If you want to humidify a larger space, and you don’t want to have to refill the water tank as much, the Crane USA Ultrasonic Cool Mist Humidifier is the best choice. If you want to humidify a smaller space, and don’t mind refilling the water tank regularly, then the Pure Enrichment MistAire Ultrasonic Cool Mist Humidifier is the best choice for you. LEVOIT LV-PUR131 vs. LV-PUR131S: Does the Smart Functionality Work?